Sir Rigby Finch-Davenport recounts in vivid detail his ‘Memoirs’ as a British diplomat from the close of the 19th Century until the pre-World War I era. During his travels around Africa and the Indian subcontinent, he is determined to make his contribution to uphold the position of Britain and Her Royal Majesty’s Empire. Finch-Davenport is brought into contact with a variety of threats that rival British Imperial designs from the Sudan to the Himalayas. In this extraordinary career with the British Foreign Office a century ago, what kind of challenges will surface to detract his mission to preserve the British Crown and the Empire? 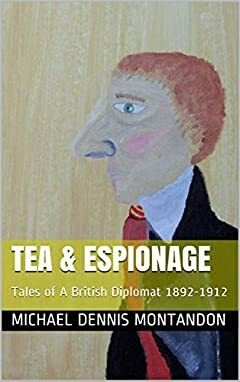 Mike Montandon’s Tales of a British Diplomat provides the reader interested in historical novels with a voyage into the world of diplomacy and adventure, blending this with the polyglot Sir Rigby’s flair for story-telling. Originally written in 2007. As a trained Historian, the author also draws from a well of ten years' career experience in diplomatic establishments.